C-DAC Notification 2019.Centre For Development Of Advanced Computing (C-DAC), Mumbai has released a notification for the recruitment of Project Engineers and Managers on Contractual basis.Check the eligiblity and notification prior to apply for the positions. B.E/ B.Tech/ MCA/ M.E/ M.Tech/ Ph.D/ equivalent from any recognized university/ institution. Check more details of educational qualification in C-DAC Centre Mumbai official website given below. 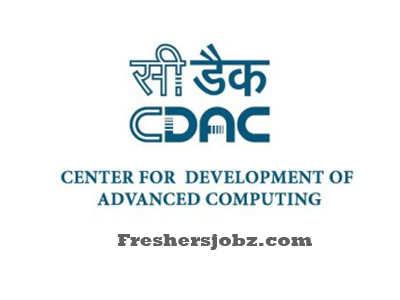 Check more details of C-DAC Centre Mumbai selection process in official job advertisement given below. Find the correct notification “C-DAC, Mumbai invites online applications for the posts of Project Engineers and Project Managers on contractual basis” and open it. Read the notification correctly to check your eligibility for -DAC, Mumbai jobs 2019. Online Registrastion starts From: 10.04.2019. Last date for online application: 26.04.2019.